The art on the rocks gives testimony to the past occupation of this arid land by the Khoi and San people. The word “Karoo” is said to come from a Khoi word, Karusa, which means “Thirst land” or “Place of Great Dryness” but I have been unable to find any authoritative references to confirm this. For many years our experience of this arid region, which takes up about 35% of South Africa’s land area, was confined to what we could see from the N1 National Road when travelling from Cape Town to the northern parts of South Africa and to Zimbabwe. 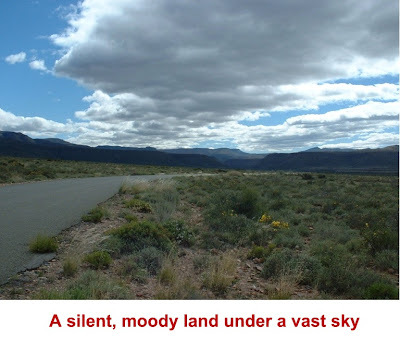 This dry, dusty and desolate strip of land straddling the highway between Laingsburg and Colesburg, with its low scrubby vegetation, blazing hot summers and bitterly cold winters, seemed to provide little reason to linger. 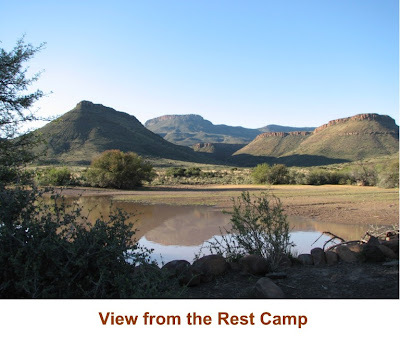 And then, in September last year, we decided to spend a long weekend at the Karoo National Park near the town of Beaufort West, roughly in the centre of the Karoo. The Karoo National Park is 75 000 ha in extent. It is home to two of South Africa’s most endangered species, the riverine rabbit and the black rhinoceros. There are also a wide variety of buck, mountain zebra, wild ostrich and five tortoise species. A unique experiment has recreated the quagga from portions of its genetic code using tissue samples taken from a museum exhibit. This species became extinct when the last mare died in Amsterdam Zoo in 1883. 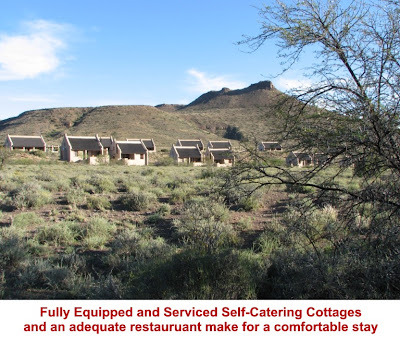 Now, it once again roams free in the Karoo national Park. Bird life is abundant. Martial, booted and black eagles soar over the cliffs and the call of the shy Cape Eagle owl punctuates the evenings. For once, I believe the copywriter’s apparent hyperbole understates reality! 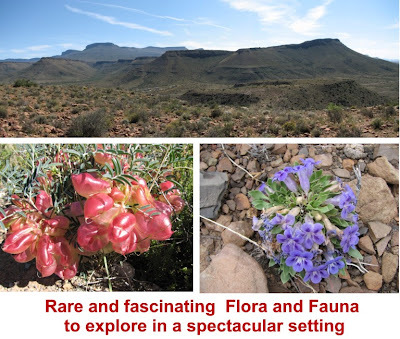 The Great Karoo has been a vast inland basin for most of the past 250 million years. At various times, there were great inland lakes and swamps and volcanic activity took place on a titanic scale. Ancient reptiles and amphibians thrived and their fossil remains have made the Karoo famous amongst palaeontologists. The fossil trail at the National Park gives a fascinating insight into these ancient occupants. Your site is getting bigger and better, love the photo's.